Mauri (Hello) from Tabon Te Keekee in Kiribati! Welcome to Tabon Te Keekee! We are a local traditional accommodation, with the goal of maintaining a low impact on our environment. If you are looking for an ecotourism holiday with beautiful beach surroundings, Tabon Te Keekee is your destination. 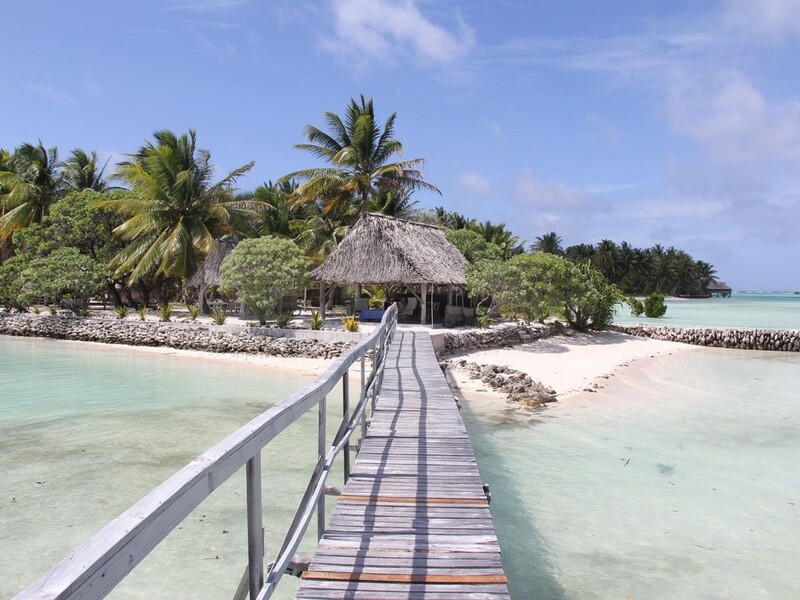 Our undisturbed and tranquil home in Abatao is located on underdeveloped North Tarawa, Kiribati. With few western luxuries, Tabon te Keekee is the perfect location to unwind and rediscover the simple things in life. Our separate eating house and coffee corner provide places to gather and interact with your hosts, other guests, and local people, while you take in the view of South Tarawa across the sparkling turquoise lagoon. We are a family-run property, with three land-based lagoon view buia rooms and two overwater buias. Our buias (bungalows) are traditionally thatched and built using local materials, making them cool and ideal for our climate. Please enjoy our website and discover our home. We look forward to welcoming you to Tabon Te Keekee.